As you guys know, I love to use essential oils for health and emotions. But essential oils can also be used for those pests that get in your house. I absolutely hate having any kind of pest in my house!! It is my house, and I just want them out. Peppermint oil for spiders and other pests is one of the ways I use my essential oils. 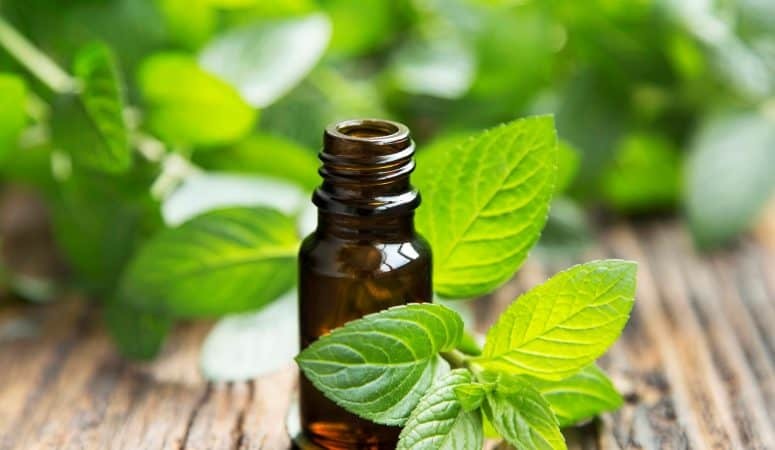 Go to this post to see other ways to use peppermint essential oil. I’m not sure if you would put mice in the pests category, but I sure would! For spiders and ants, put some pure, high quality, peppermint oil into a spray bottle with some water. It doesn’t take much of the oil. And spray it everywhere that you have seen ants or spiders. I mean spray it everywhere! I know some of you have pets so you might worry about the peppermint around pets. Don’t worry, as long as you use high quality oil, the pets will stay away from where you spray if they do not like it. I have two cats that I love (as you guys know!) and they just stayed away from where I sprayed. Another thing, is that I noticed that just the peppermint was not keeping the ants away. So I added some clove essential oil to the spray bottle. Then I sprayed that everywhere. Now, I haven’t had ants for a year. If I see even one ant I spray this mixture of peppermint, clove and water and no more ants. Another tip, essential oils do not mix with water, since they are, in fact, oils. So make sure you shake up the spray bottle mixture so the oil and water are sprayed out together. Now, using peppermint oil for mice. Put some straight peppermint oil (no diluting) on a cotton ball wherever you have seen a mouse or mice. This will get those mice running the other way and trying to get away from the cotton ball. My sister had mice in the garage of her new house (apparently the old owners did not know about peppermint essential oil!). She put cotton balls with peppermint essential oil all over the garage, and she has not seen a mouse since. Now, I have never had a roach problem, at least not recently. I think I had some roaches in my first apartment, but not since then! But my mom worked at a daycare where one of the kids basically brought roaches from home in their stuff! So she put eucalyptus on a cotton ball and put it around this kid’s stuff. And, also, all over the room. And the roaches were no longer a problem. Is there anything more annoying than flies bothering you in your house? I hate when the fly keeps trying to land on you or your food. So take some basil essential oil and put in a spray bottle with water. Then spray wherever there are flies in your house. This should get them to move on outside, and leave you alone. You guys, I would legit not go outside after dark in the summer, until I found essential oils and lemongrass essential oil to keep the mosquitoes away. Now, when I go outside, I spray myself with repellent blend and lemongrass. Not only does it work to keep the mosquitoes away, it smells good too! Not like the yucky smell of bug spray. Also, if I do happen to get a mosquito bite (gets through the repellent blend and lemongrass), or more likely, I forgot to put it on. I put lavender essential oil on the bug bite and the itching stops in 30 seconds. Just another little tip to keep in mind. I don’t think we have ever had fleas around our house since we have only indoor cats. But I know that some people have a problem with fleas. To get rid of these buggers, you can use lavender and lemongrass on both dogs and cats, if you follow two rules. Make sure the essential oils are pure and good quality. And make sure the oils are very, very diluted. I would dilute with water and put in a spray bottle. Then just spray your pet with the mixture. If you are anything like me, you a probably not a fan of wasps (what is the point of them anyway??). And my youngest son also is scared to death of them. There have been times we have not gone outside because there is a wasp. It has held us captive in our own house. This is before I knew about essential oils, and found something that really works to make the wasps go away. Peppermint and lemongrass essential oils mixed with water and vinegar. And put it in a spray bottle. Then you can spray at the wasp nest or in the direction of the actual wasp. I don’t know about you, but I am not getting close enough to a wasp to spray it directly. The wasps, like many other pests, do not like peppermint or lemongrass essential oil. So they move along, and leave you alone. So the thing about using peppermint oil for spiders, or any kind of essential oil is that it doesn’t kill the pest. As I said throughout the post, it just makes them move along, out of your house or off of your body. This doesn’t matter much to me with a mosquito, but when you start talking about mice, it gets a little sadder. Plus my youngest son is very sensitive when it comes to anything living. He will kill nothing, and gets really upset if we do. Maybe you have a kiddo like that also. This is why essential oils are so great for pests. Also, there are not any chemicals in these oils if you use them to get rid of pests, unlike your traditional pest control products. 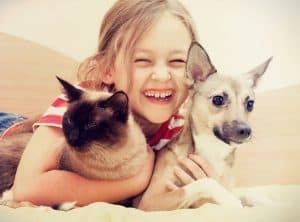 So just some tips for you to take care of pests naturally, while keeping your kiddos away from harmful chemicals.